Home Dashboard Warning Lights Why is the Engine Management Light on? Why is the Engine Management Light on? 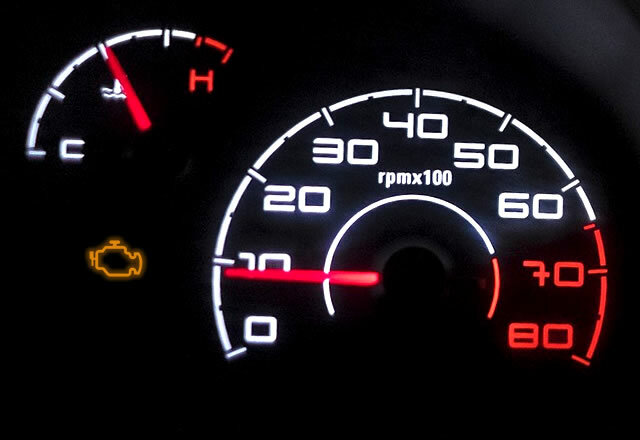 If your car engine management light comes on, it will typically be illuminated in yellow. Whilst any dashboard warning light is cause for concern, those that illuminate in yellow or orange generally do so to inform the driver that a non-critical fault has emerged. Essentially this means that there’s no immediate risk that vehicle safety is compromised or that vehicle electrical or mechanical components are likely to shortly fail. However, if the engine management light illuminates in red, or flashes in red then this informing you of a more urgent problem. If driving, it would be advisable to pull over as soon as safe to do so, turn off the engine and investigate the problem further. What Does the Engine Management Light Mean? The car’s computer, the Electronic Control Unit (ECU) monitors various systems around the vehicle by use of sensors. The oxygen sensor checks for the correct fuel mixture via the amount of oxygen passing through the exhaust. The likely fault is here with the sensor itself which may need replacing, or the ECU reprogramming or updating. Though this isn’t an emergency, the chances are that your engine will be burning more fuel than necessary, which will of course reduce fuel economy. Have an engineer check your vehicle with a diagnostics tool. Less common than the exhaust emissions fault above, but potentially more serious is an engine misfire. A misfire means that fuel has entered the combustion chamber but did not ignite. This unburned fuel must end up somewhere and this place is the exhaust. 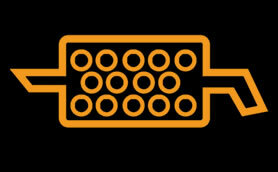 This can raise temperatures of a vehicle’s catalytic converter which may result in damage. All cars in the UK since 1993 have a catalytic converter which converts harmful gases such as carbon monoxide into less harmful gases such as carbon dioxide. Catalytic converters can be expensive to replace and a faulty one will fail and MOT emissions test, so if the engine management light is flashing or is red, slow down and ease off the accelerator until the flashing light stops. If the light remains on, pull over, turn off the engine to further investigate the issue. Some models of vehicle may use the engine management light or use a specific dashboard symbol if there’s an issue with the catalytic converter. This only applies to diesel models. Some models of vehicle have a specific blocked diesel particulate filter warning light, whilst others will illuminate the engine management light. The particulate filter is fitted to diesel vehicles to help filter carcinogenic particles from the exhaust. A differential pressure sensor will trigger when the filter becomes clogged with particles and exhaust gasses struggle to pass through it. Once this occurs, diesel particulate filter (DPF) regeneration begins. The process involves extra fuel being burned by the engine which heats up the DPF and in turn burns the deposits, therefore cleaning the filter. If this process fails, the engine management light comes on. If after driving consistently for 30 minutes or more and at a speed of 40 mph or ever and the light remains on, contact an engineer to have the issue diagnosed. Fuel injection systems rarely go wrong, but on occasions they can become blocked resulting in an under performing engine, or one that doesn’t work at all. The fuel injection system relies of information from the ECU and if one of the various sensors around the vehicle trigger a fault, the EML will illuminate. The fuel tank is pressurised system with sensors and air valves that allow a specific amount of air back into the tank as the fuel is used. Over-filling your tank with fuel may trigger the EML or failure to secure the fuel cap properly. Check also the filler cap seal to ensure it’s in good condition. If the EML repeatedly comes on after filling up, it could be related to a valve or sensor. As can be seen by the multitude of potential faults that the engine management light can cover, it’s almost impossible to diagnose the fault without specialist diagnostic equipment. Quite often however, slowing down, taking it steady or turning the car’s engine off and allowing it to rest will see the light go out. Some vehicles may also have an additional information display that can provide further information on the fault or it may provide a specific fault code. If you have a car owners manual, further information on the fault, or fault code can often be obtained from this. If the EML stays on and wont go off, the only option is to take your car to a repair garage / engineer who will hook your vehicle up to diagnosis equipment. If you have an MOT scheduled and the engine management light is on, then there’s a possibility your car could fail the MOT if it’s related to the checks undertaken during the MOT process. 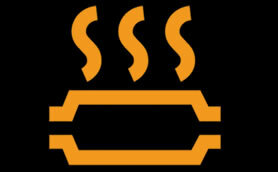 The most common reason for the engine management light coming on is exhaust emissions. MOT tests involve strict emissions regulations, so it’s advisable to have the EML fault diagnosed and repaired before the MOT. Simply resetting the engine management light to make it go off without diagnosing the repairing the fault will result in the light coming back on again. However, if you have repaired the fault yourself and want to reset the symbol yourself, disconnecting the battery for a few minutes will work on certain vehicles. If this method doesn’t work, purchasing a diagnostic scanner and using the tool to reset the system should turn the symbol off.